It's not just the Samaria gorge! 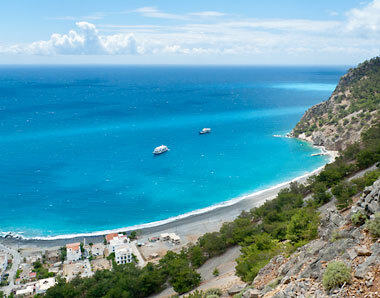 Agia Roumeli is situated in one of the wildest regions of Crete with rare flora, fauna and geology. Being the exit of the Samaria Gorge National Park, it offers magnificent walking and hiking trails through unspoilt and protected nature. The strong sun in combination with the salty sea and almost deserted beaches give you a unique sense of nurturing solitude. This spectacular setting is also an absolute antidote to any walker’s fatigue! It is possible to spend weeks exploring this beautiful area. You can discover sheltered beaches where the mountains and the sea are your only companions, wander through the gorge or go hiking in the mountains. There are countless opportunities here for real and unparalleled nature experiences. 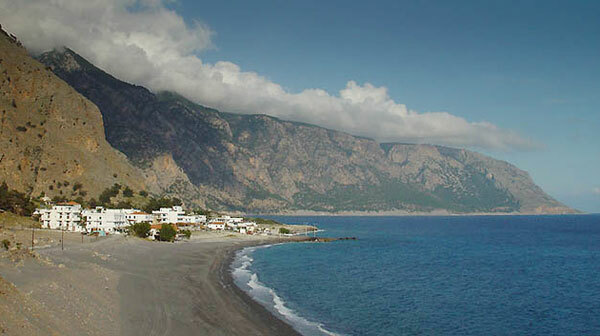 We also offer our own 4 days programme to discover Samaria and Agia Roumeli. The clear nights allow for a truly amazing view of the starry sky; an excellent background for soul-searching conversation - aided perhaps by a glass of Cretan wine. What completes the stay in Agia Roumeli is the superb traditional food you can enjoy here. And rest assured, you will always be in good company! For us, the family of Roussos and Spiros Viglis, it is a matter of heart and soul to take good care of our guests. At Artemis Studios a comfortable stay is guaranteed.